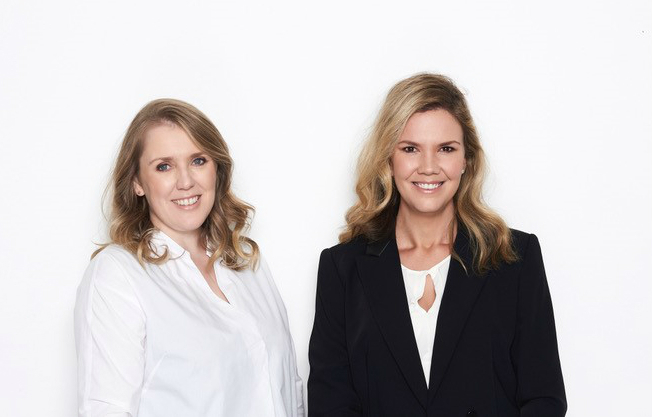 Founded in 2016, The Base Collective is the Melbourne-based business of two entrepreneurs and friends: former banking employee Carly Pountney and pharmacist Cassie Sanghvi. 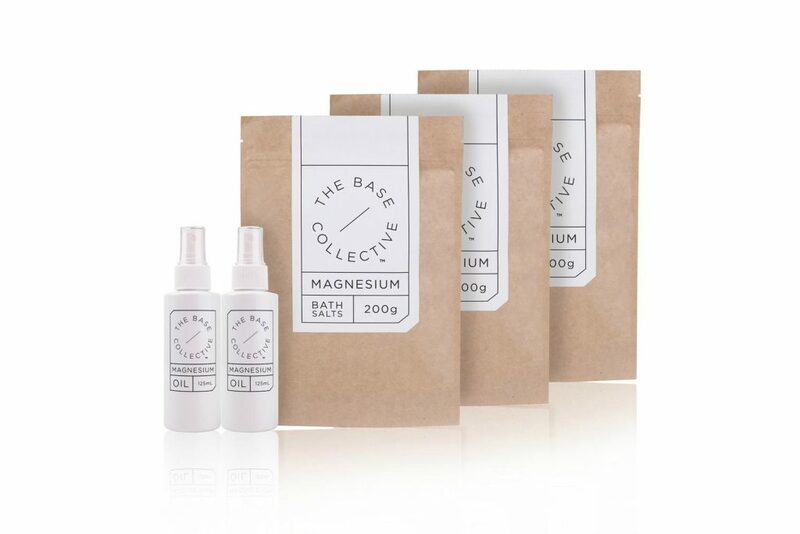 The Best Collective provides what it calls, “smart skincare” and wellness products, with the active functions of magnesium playing a lead role in many of the company’s products. Their branding model is based upon using natural and non-toxic products, and strategically marketing their range with effective and attractive design. Following the success of their second Magnesium Wellness Range, the company has continued to grow, placing more and more demands on both Carly and Cassie. They were kind enough to answer some of our questions about what it is like to run a business with a friend. We met through the Kindergarten that our then 3-year-olds were attending. Our kids became firm friends and luckily we liked chatting over play dates! What indications did you guys get that there was a gap in the market for organic skin care products? Cassie was the main identifier here, particularly because of her background as a pharmacist. I used to naively take the word of other brands that say ‘natural or ‘organic’ or ‘SLS’ free and not even realise that they might use an equally bad substitute or have a very loose interpretation of the word ‘natural’. Cassie will literally read every ingredient on the label (now I do, too!) and there weren’t many brands out there that she felt comfortable using on her family. We wanted to create a brand that was transparent and genuinely natural and organic and, just as importantly, looked really good sitting in your bathroom or shower. There wasn’t really anything out there that fit that description so we went for it. What has been the biggest challenge of running a business with a friend? Sometimes it’s hard to separate one from the other. We’re trying to get better at doing things just as friends and not to let ‘work talk’ sneak in. We are treating ourselves to a girls’ day out soon, which we’re both really looking forward too. You end up spending so much time together and because we both care so much about the business we can sometimes annoy each other at times! It’s also a real benefit because we both have families and a lot going on and are understanding of that. So, when one needs a mini break, the other gets it and can take over for a couple of days so we can each have that breathing space. How did you come to a single vision for the business with two founders? From the outset we have talked about our goals for the business and early on we created a set of core values that reflected those. They have really become a central reference point for us. When we’ve been approached for collaborations we always go back to those and have turned down several because they didn’t fit with our ethos. Equally if one of us has an idea we can loop back to those values and it helps make the decision. And there have been times where we haven’t agreed and have had to work through it. It isn’t really any different from a corporate environment either, both opinions are valid so we take a step back, make a decision and keep on going. How do you approach splitting up responsibilities between the two of you? That has definitely evolved over time. Initially, we were both across everything and it worked when we were much smaller. We’d switch between packing orders or answering emails, posting on Instagram – all of those things. But now I tend to focus on the operational side and Cassie on the formulations & product development. We both work on the branding and PR/Marketing side and it’s all hands-on deck when it comes to business development! We also have regular catch ups (even if they are 10 mins in the car while on our way for the school pick) and often check in with each other on what our key action items are for the day so we don’t double up nor let something slip. Did you seek outside advice/consultation when starting The Base Collective? We did for certain aspects, but to be honest we have really started to actively seek that more now. We have a couple of informal mentors we can run ideas past and also recently engaged a business coach to help us manage our growth. It’s been a bit of a roller coaster and having that voice to help us prioritise how to spend our limited hours per day has been really valuable. With hindsight, engaging a consultant earlier wouldn’t have been a bad idea and may have saved us from a few ‘learning experiences’! Have you both discussed in what direction you want to see the business go? Definitely. We actually had that discussion at the start – and while some things have happened out of order we still regularly talk about it. We have to with the opportunities that have come up. Are there any things you would have done differently when starting out? Probably ask more questions. Things like choosing a label for our first product that could only be applied by hand was a big lesson. And understanding costs more – there are so many that seemed to pop up initially, it is a tad nerve-wracking to see so much going out and not much coming in. Some of that probably could have been avoided by seeking some consultation in the planning stages – but having said that we have learnt so much over the past 18 months and that is possibly just as valuable.